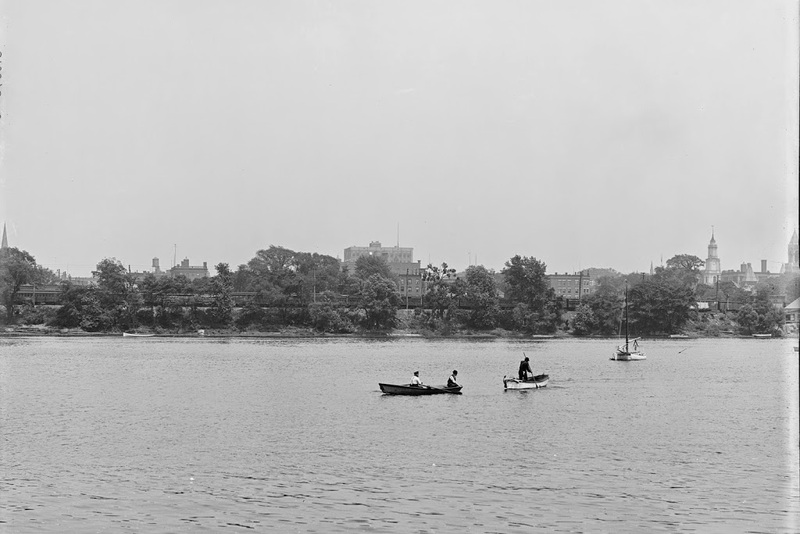 Springfield, as it looked from across the river around 1900-1910. Image courtesy of the Library of Congress, Detroit Publishing Company Collection. 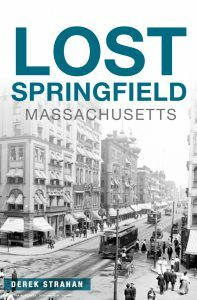 It’s a good thing that Old First Church and the Hampden County Courthouse still exist – otherwise it would’ve been very difficult to pin down exactly what part of Springfield is seen in the early 20th century photo. In addition, the old Court Square Building is barely visible in between those two buildings in photos. There are some parts of Springfield that still look similar to how they were 100 years ago, but downtown isn’t one of them. Along with the skyscrapers and modern hotels that now sit directly across the river, there is also the Memorial Bridge, which wouldn’t exist for another 10+ years from the first photo. Instead, travelers would cross the river slightly upstream of the current bridge, on a terrifyingly rickety-looking covered bridge that I will probably cover in a future post. 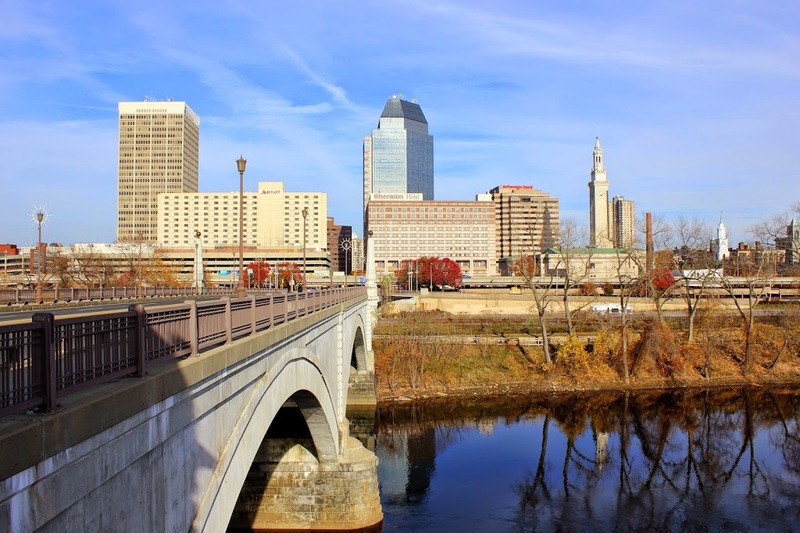 The other big change in the past century was the elevated I-91 viaduct along the Connecticut River, which replaced the railroad as both the prominent feature along the river and also the way that most people traveled from Springfield to points north and south. 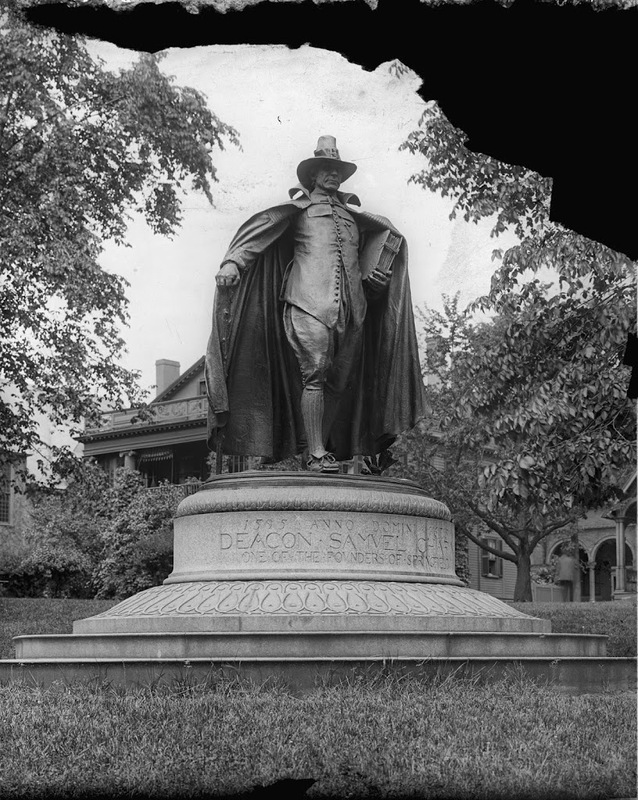 The Samuel Chapin Statue at the Quadrangle, around 1905. Image courtesy of the Library of Congress, Detroit Publishing Company Collection. Samuel Chapin, one of my ancestors, was an early settler in Springfield, one of several such founders memorialized in a statue in the city. 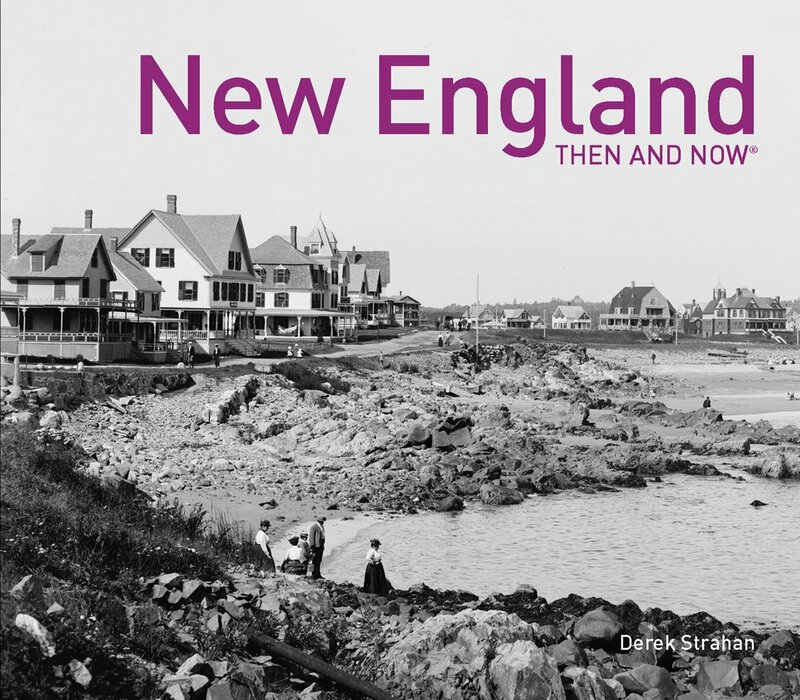 He served as the first deacon of the church, was on the first board of selectmen, and also served as a town magistrate. In 1881, one of his descendants, businessman and Congressman Chester W. Chapin, commissioned noted sculptor Augustus St. Gaudens to create this statue. It was finished in 1887, and was first situated at Stearns Park, but was moved to Merrick Park at the Quadrangle in 1899, shortly before the above photo was taken. 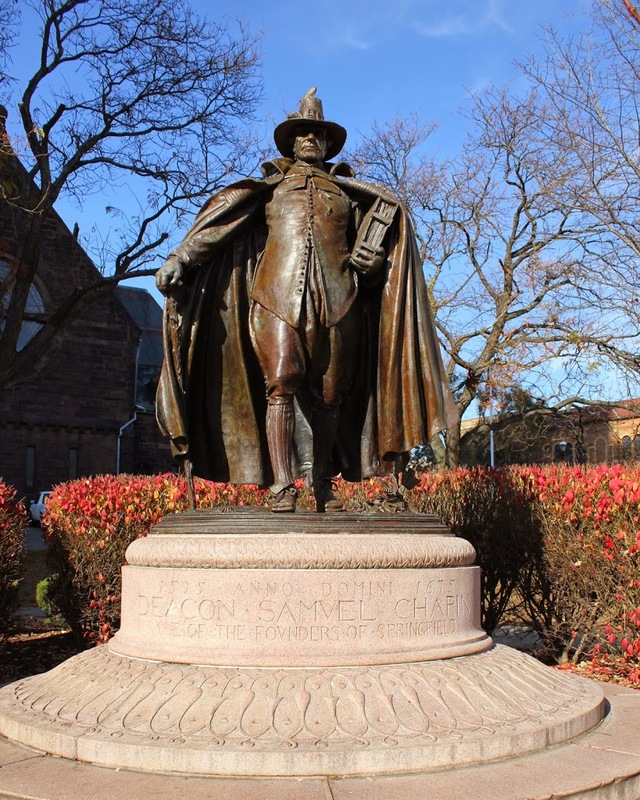 The statue, named The Puritan, became one of St. Gaudens’s most popular work, and it hasn’t changed much in the past 100 years, although some of the buildings around it have. The house directly behind it in the 1905 photo (I believe it’s the parsonage for Christ Church Cathedral) is long gone, as is the old library, which isn’t visible in the photo, but which was located just to the photographer’s right. Note, however, the arches in the distance on the far right of the 1905 photo – those are from the art museum, which still exists – the arches aren’t visible from the angle of the 2012 photo, but the building itself is barely visible above the hedges. 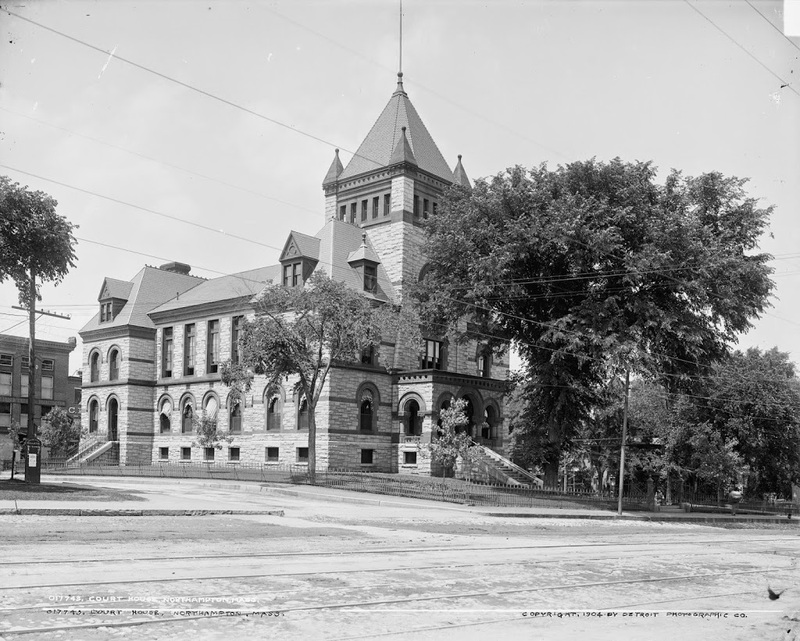 The Hampshire County Courthouse in Northampton, Mass., around 1904. Image courtesy of the Library of Congress, Detroit Publishing Company Collection. 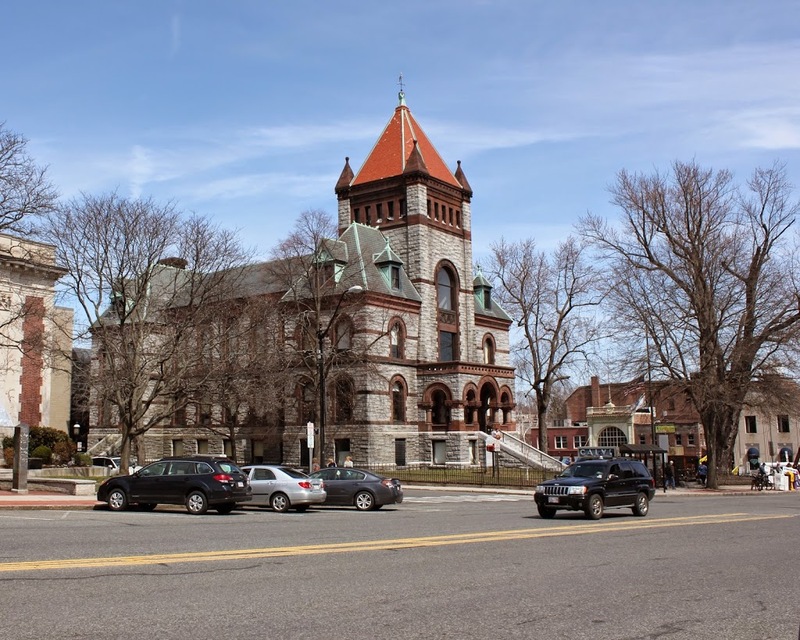 The Hampshire County Courthouse hasn’t changed much since 1904, nor has it changed much since it was completed in 1886. It bears strong resemblance to the Hampden County Courthouse that was built about 12 years earlier, and unlike that building, this one retains its top floor and its dormers adjacent to the tower. Around the time that the earlier photo was taken, the Clerk of Courts was a local attorney and former City Council member named Calvin Coolidge, who would eventually go on to work a much more notable job in a much larger and more prominent building. One difference between 1904 and now, although not visible in the photo, is a statue of said former Clerk of Courts, now on the grounds of the courthouse. 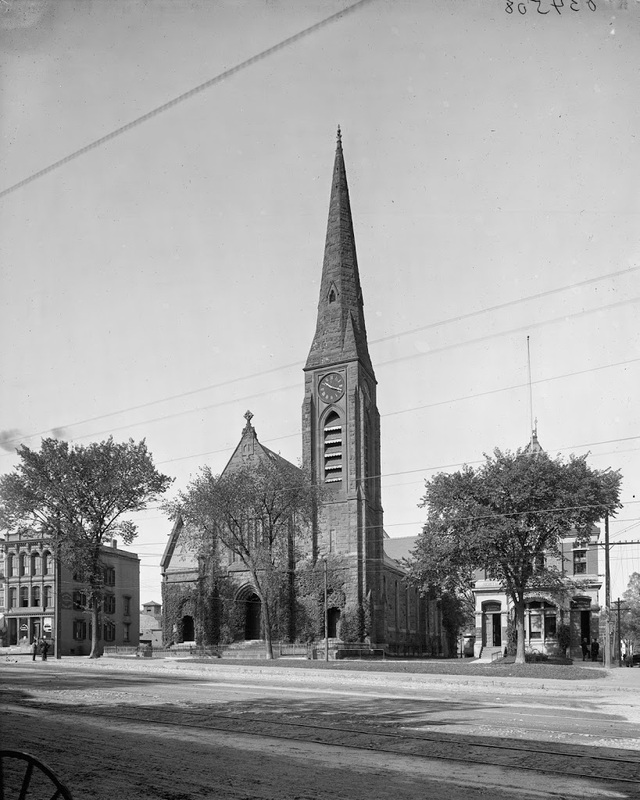 The First Church of Northampton, between 1900 and 1910. Image courtesy of the Library of Congress, Detroit Publishing Company Collection. Built in 1877, Northampton’s First Church hasn’t changed much, although its surroundings are different than they were a century ago. Notice in particular the absence of trolley tracks or wires and the proliferation of cars. Nearly three centuries and three church buildings ago, this was the home to one of America’s most prominent theologians, Jonathan Edwards, who was pastor of the Northampton church from 1727 to 1751, and who led the Great Awakening from his pulpit here. 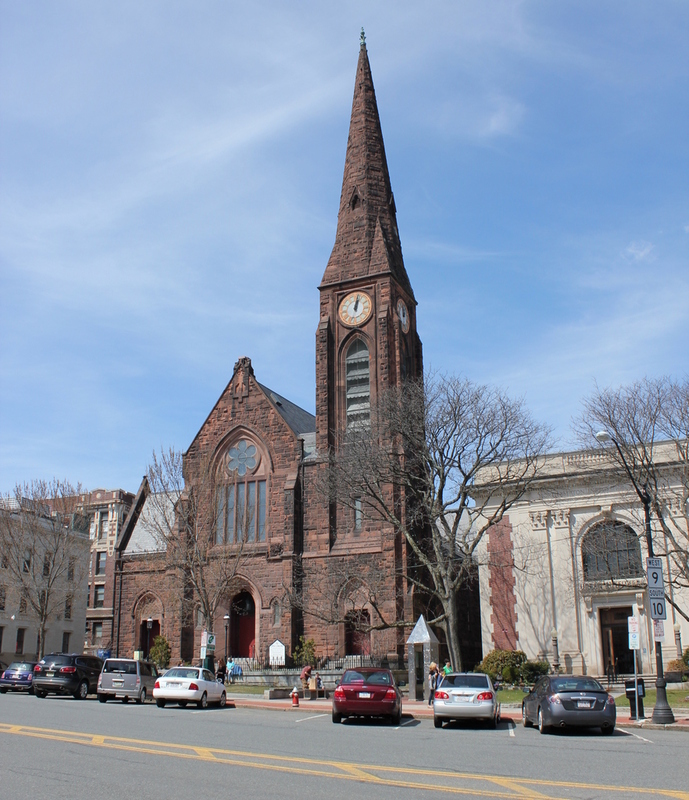 The church building that he built in 1737 was replaced in 1812 by one designed by Isaac Damon, the same architect who designed Springfield’s Old First Church seven years later. That building burned in 1876, and was replaced by the present structure the following year. 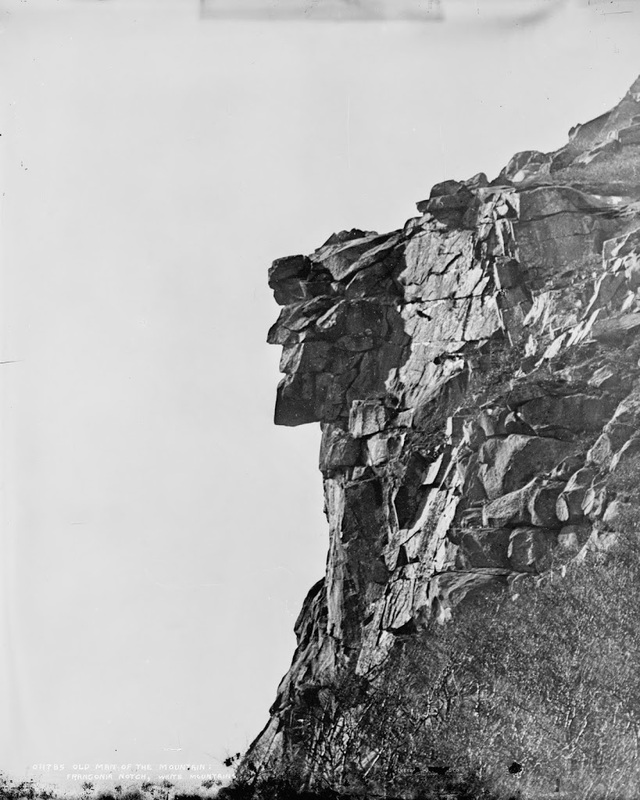 The Old Man of the Mountain, between 1890 and 1910. Image courtesy of the Library of Congress, Detroit Publishing Company Collection. Concerns about the stability of the rocks continued through the 20th century, and in 1958 steel rods and other equipment was used in an attempt to secure the rocks. Several of the rods are still visible at the top of the cliff. 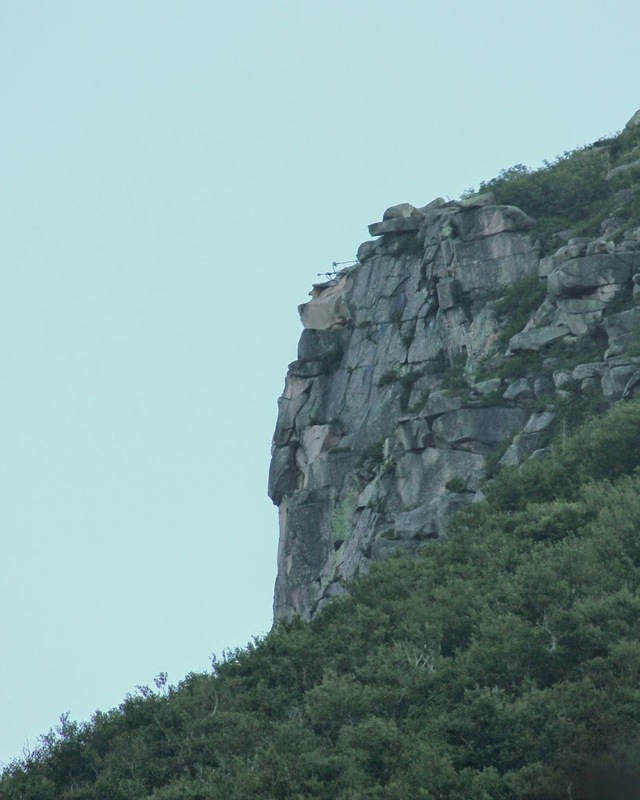 The Old Man of the Mountain also influenced the construction of Interstate 93 through Franconia Notch; the segment of highway is one of the few two-lane Interstate highways, and was built that way partially because of concerns that construction of a wider highway could damage the rock formation. Regardless of these efforts, though, the rocks collapsed in May 2003. 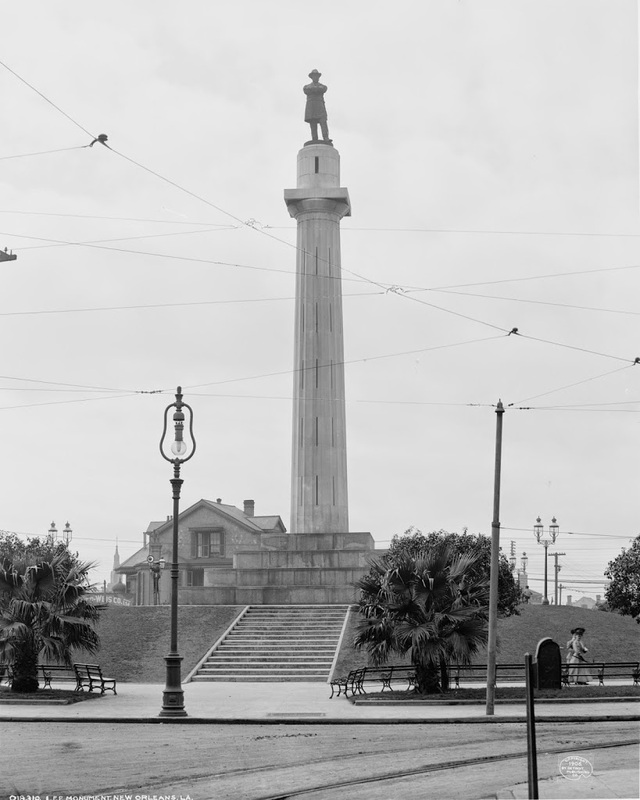 Robert E. Lee Monument, New Orleans, about 1906. Image courtesy of the Library of Congress, Detroit Publishing Company Collection. In a bit of a departure from my usual northeast locations, I came across the c.1906 photo of the same statue that I photographed in 2009 while in New Orleans. 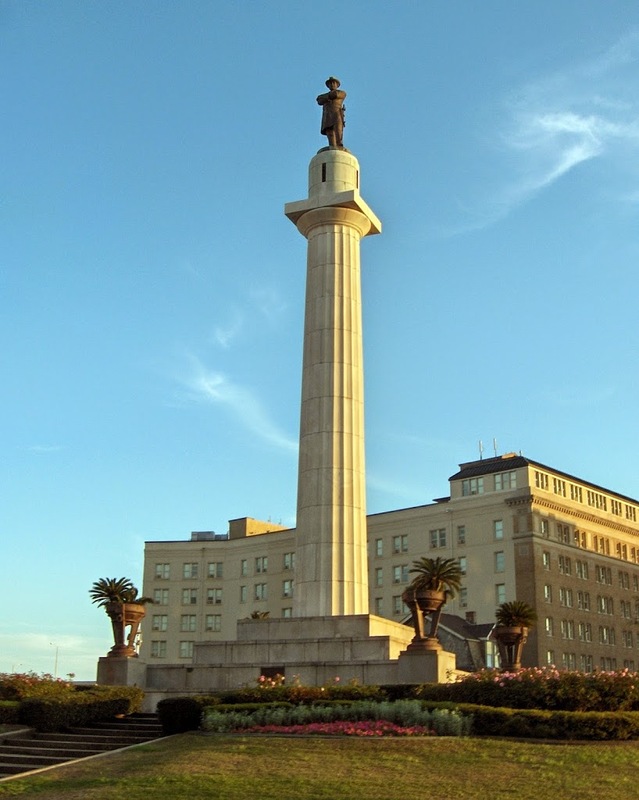 The subject, given that it’s the south, is Robert E. Lee, and the statue has been there since 1884.